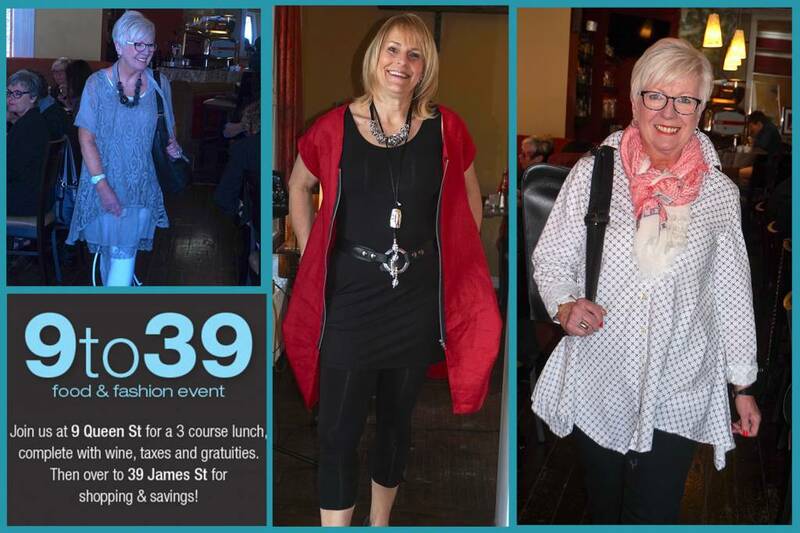 Last weekend we held our annual Spring 9 to 39 Fashion Show at La Scala Ristorante. We love doing this event and we continue to hold a fashion show in the Spring and Fall each year to showcase our newest line. This is also a great opportunity to hang out with our customers in a relaxed setting while everyone enjoys a three course lunch, complete with a glass of wine. Nothing pairs better with our Spring line than a fine wine! We had a fantastic turn out for the event and enjoyed seeing everyone that came out to enjoy an afternoon of food and fashion. We saw some loyal faces that make it out to every one of our 9 to 39 Fashion Show events and had a great time meeting first time attendees. Thank you to each of you who came to support us and for all your excitement over the new line. Following the show, our guests headed on over to our boutique for an exclusive shopping event that was so much fun. When the store is closed to outside guests it allows us to have a little more fun, to get crazy trying on new pieces and putting together new outfits and to give away a few prizes and discounts while we are at it! If you couldn't make it to the show but would like to be part of an exclusive, private shopping event, we would love to have you! Please contact Robyn at robyn@lousjeandbean.ca for more details. Thank you to all those who made it out for the day and for those who missed out, be sure to join us for our Fall event!